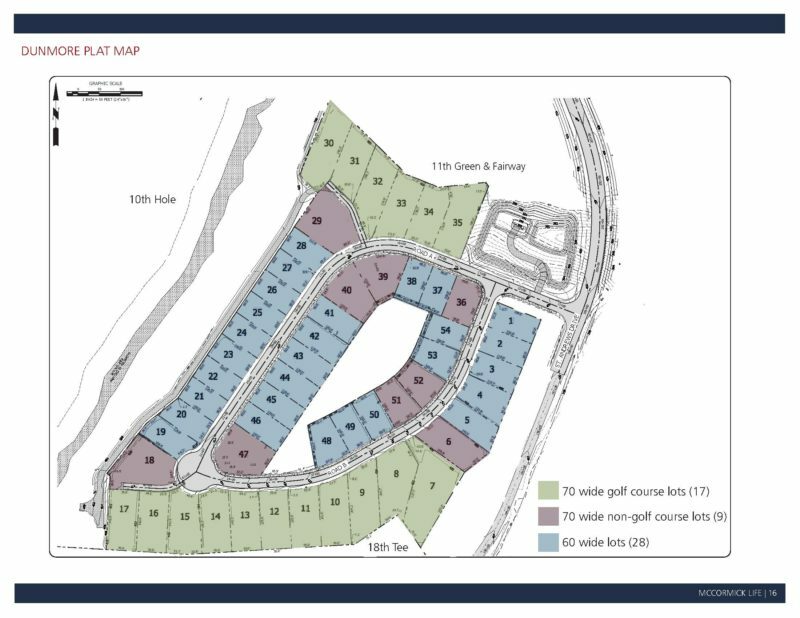 The Offering: Dunmore is set to deliver 54 finished residential lots within the McCormick Master Plan. Site construction is in process and plat recording is estimated for June/July 2018. The McCormick Master Plan Community: The overall MPC is approved for up to 3500 homes of which roughly 850 homes are already occupied. The community is actively selling homes in Eldon Trails, a 172-lot development situated off St. Andrews Drive SW. Master Plan amenities currently include a championship golf course and clubhouse with a restaurant, abundant walking trails and parks with-in the community as well as immediate access to the 1550 acre Coulter Creek Heritage Park. The golf course frontage lots at Dunmore offer a rare opportunity for homebuyers to build next to a championship course in McCormick Woods. 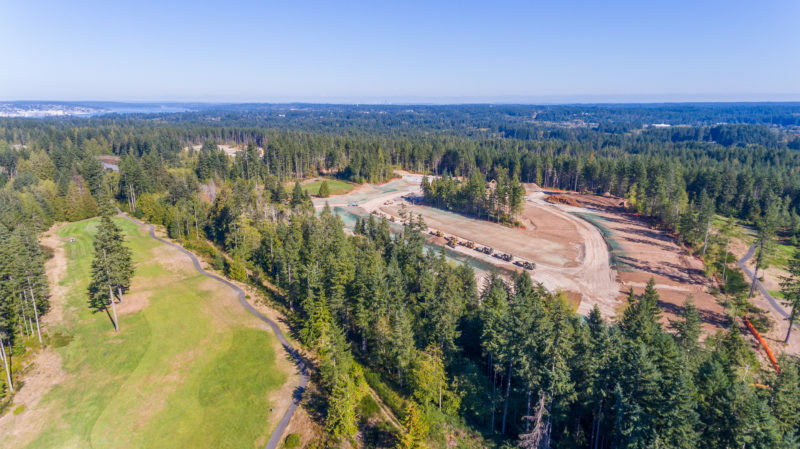 Per the Northwest Multiple Listing Service, Dunmore’s 17 golf course homesites represent 50% of the current golf course frontage lots available in our five county Puget Sound region. As “proving out” in Eldon Trails, the opportunity to design and build on the course is truly rare and much sought after. Dunmore represents an exclusive community setting with a definite “sense of arrival”. Strategically placed between the golf course greens, tee boxes and fairways, Dunmore will take on a certain ambiance that only well designed residential enclaves contain. 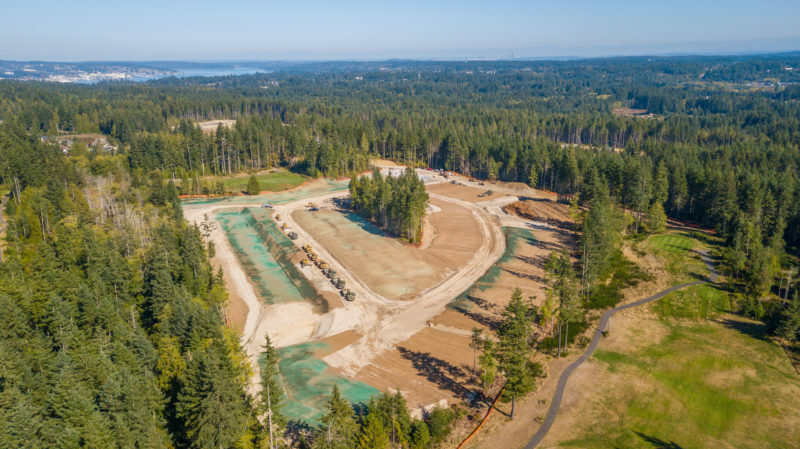 Homeowners of non-golf course frontage homes will feel both connected to the course as well as enjoy greenbelt buffers on nearly every lot. Additionally, the 14 homes that back to fairway 10 on the east side of the community will enjoy an extra-deep tree lined buffer. Quality residential lots prove very difficult to find in our region. 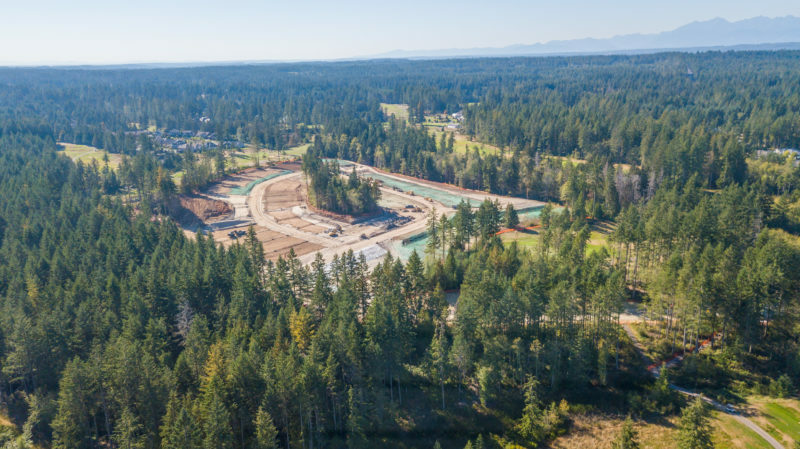 These homesites vary in lot widths from 60’ to 70’ and lot depths from 100′ to 140′. They are specially designed to provide the builder with maximum flexibility in new home designs. With the installation of the Kitsap Fast Ferry providing access to Downtown Seattle, in 28 minutes residents of McCormick can be steps from the region’s best restaurants, shopping, sporting events and concerts not to mention employment in one of the most robust markets in the country. The lack of affordability in our region is creating nearly 40% of McCormick’s buyers to originate from King County. With the average new home in King County offered at roughly $1.4MM, buyers see McCormick as a viable option to both affordability and better quality of life.